Hamas slammed as "immoral" Monday an EU appeal to keep it on the bloc's terror blacklist, a month after a European court ordered its removal. 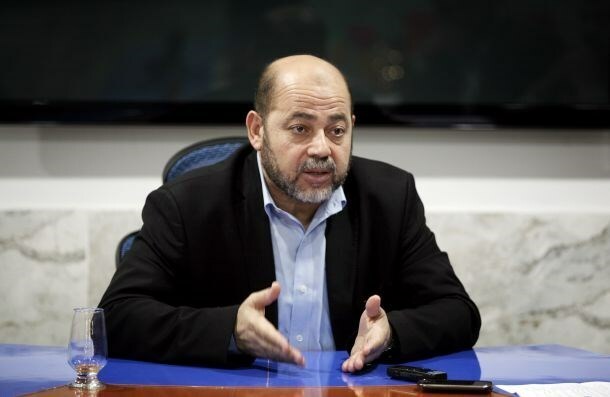 "The European Union's insistence on keeping Hamas on the list of terrorist organizations is an immoral step, and reflects the EU's total bias in favor of the Israeli occupation," Hamas spokesman Sami Abu Zuhri told AFP. "It provides it (Israel) with the cover for its crimes against the Palestinian people," he added. Foreign ministers from the 28 EU member states decided at a Monday meeting to appeal the decision taken by the General Court of the European Union on Dec. 17, the bloc's foreign policy chief Federica Mogherini said. 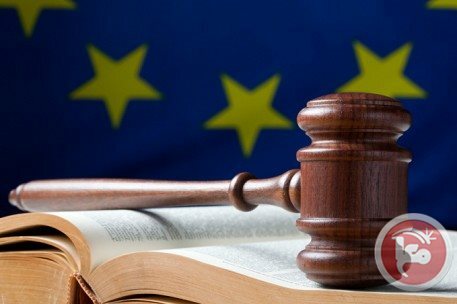 The ruling by the EU's second highest court had said that the blacklisting of Hamas in 2001 was based not on sound legal judgements but on conclusions derived from the media and the Internet. Hamas, which has dominated the Gaza Strip since 2007, had appealed against its inclusion on the blacklist on several grounds. Israel's closest ally the United States has urged the EU to keep up its sanctions on Hamas, saying the US position had "not changed" and Hamas is still a "designated foreign terrorist organization." Hamas fired thousands of rockets at Israel during a 50-day war last summer in which Israel pounded Gaza with thousands of its own airstrikes, naval attacks and ground forces. The war killed nearly 2,200 Palestinians, mostly civilians, and 73 on the Israel side, mostly soldiers. The EU ministers were meeting in Brussels to discuss how to boost cooperation in the face of a growing Islamist militant threat following deadly Paris attacks and anti-terror raids in Belgium. Acting speaker of the Palestinian Legislative council Dr. Ahmad Bahar lashed out at the European Union’s decision to challenge the ruling of the EU general court striking Hamas off the terror list. He described the step in a statement on Monday as a denial to the Palestinian democracy as well as to the results of the Palestinian elections that progressed under international monitoring. The Palestinian official said the appeal constitutes a green light for the Israeli occupation to commit more crimes against the Palestinian people. He asked the European Union to heed the justice ruling of the European court rather than bowing to the “Zionist pressures”. The acting speaker stressed that the international law guarantees the occupied people’s right of armed and unarmed resistance against the occupying power. What has been carried out by Palestinian resistance is in defense of the Palestinian people’s rights, contrary to the Israeli practices of collective punishment, killing of civilians, and massive massacres against the Palestinians, Bahar said. He asked the EU to include Netanyahu’s name along with the names of other Israeli extremist leaders in the terror list and prosecute them at the international level rather than to penalize the Palestinian rights of resistance. The European general court for human rights ruled last month that Hamas should be removed from the terrorist list because the decision to include it had been based on media reports, not on considered analysis. It said the EU does not allow intervention in the affairs of other countries and that the European Council did not submit a clear statement about the reasons of the decision. The EU will appeal a December court decision ordering the removal of Hamas from its terror blacklist, a spokeswoman said Monday. Foreign ministers from the 28 member states decided at a meeting on Monday "to appeal the judgement regarding Hamas remaining on the EU terrorist list," spokeswoman Susanne Kiefer said. 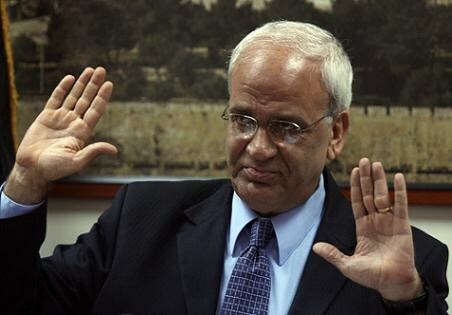 Erekat says relations with Israel reach "point of no return"
Chief Palestinian negotiator Saeb Erekat demanded the Israeli Occupation Authority to enforce the charters of the Fourth Geneva Convention (1949) along with its additional protocols in the Palestinian territories for being an occupying power. The senior Palestinian official said, in a press statement on Monday, that relations with Israel have reached a "point of no return" following his meeting with foreign diplomats in the West Bank. "The Palestinian-Israeli ties would never return to what it used to be before signing up to join the International Criminal Court," said Erekat, asserting that keeping this situation is impossible. Erekat, who is also a Member of the Central Committee of Fatah, added Israel is trying to keep the current situation, of settlement building, siege, closures, assassinations and dictates, without change employing threats and collective punishment on the Palestinian people to achieve this goal. Hamas Movement described Sunday evening Abbas’s accusations against the Movement on its alleged secret negotiation with Israel to create an independent state in Gaza and the Egyptian Sinai Peninsula as ridiculous. Spokesman for the Movement Sami Abu Zuhri charged that Abbas’s remarks fell as part of his continued incitement against Palestinian resistance and his attempts to cover up the failure of his peace process. "We, in Hamas Movement, strongly refuse any proposal to replace one single inch of Palestine by another piece of land", Abu Zuhri emphasized. 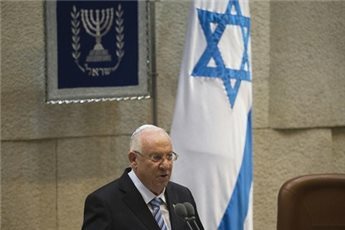 Israeli President Reuven Rivlin on Sunday urged his Palestinian counterpart to renew peace talks instead of pursuing efforts at the International Criminal Court or United Nations. "There is no other way than direct negotiations. Unilateral steps will not solve the conflict, but just give more power to the extremists," Rivlin said during a visit by a delegation of US senators headed by Republican John McCain. "I call upon President (Mahmoud) Abbas: instead of going to The Hague or to the United Nations, come to Jerusalem. Come to talk directly to the Israeli government and people," Rivlin said. Palestine applied earlier this month to become a party to the Hague-based ICC and recognized its jurisdiction to retroactively cover a period including the Gaza war. The ICC announced Friday it was launching a "preliminary examination" into Israel's actions in the Palestinian territories, including last summer's war with Gaza militants. The Palestinians last month also attempted to have a resolution passed at the UN Security Council on ending Israel's occupation, but it was rejected. 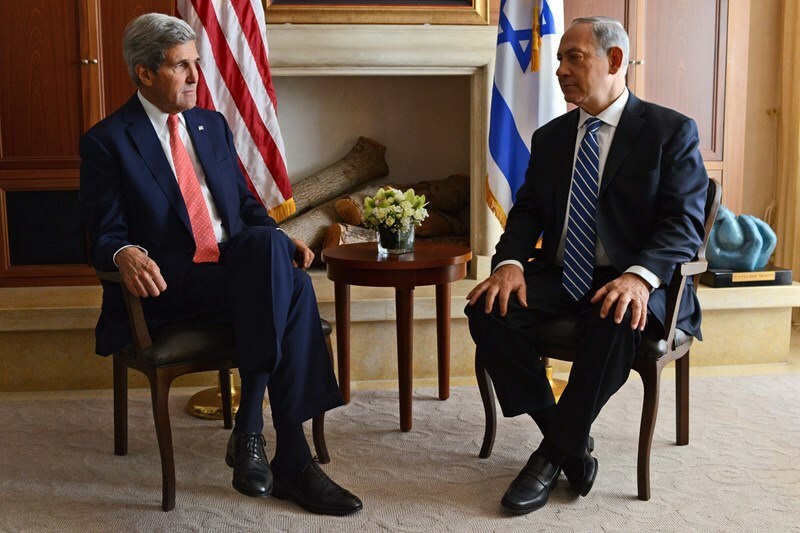 Both moves were strongly condemned by Israel and its key ally the United States. The latest round of peace talks between Israel and the Palestinians collapsed nine months ago without any visible results. The presidency in Israel is a largely ceremonial post, but past presidents have used the position to promote political messages. Rivlin, who was a long-time member of Prime Minister Benjamin Netanyahu's Likud party, had in the past spoken against establishing a Palestinian state but since being sworn in as president in July 2014 largely restricted his public statements to internal Israeli issues. President Mahmoud Abbas on Saturday accused Hamas of negotiating secretly with Israel over the creation of a Palestinian state in the Gaza Strip and Egypt. 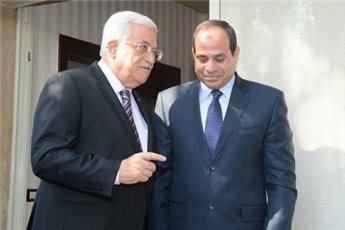 Abbas told the Al-Bawaba news site that Egypt rejected the proposal. Hamas "is still seeking its old dream of an independent Islamic state in Gaza, which matches the plans of many countries who work against the interests of Palestine," Abbas alleged. He said that during meetings with Egypt's leadership, President Abdul Fattah al-Sisi informed him that Hamas and Israel agreed on a proposal to create a Palestinian state excluding the West Bank. 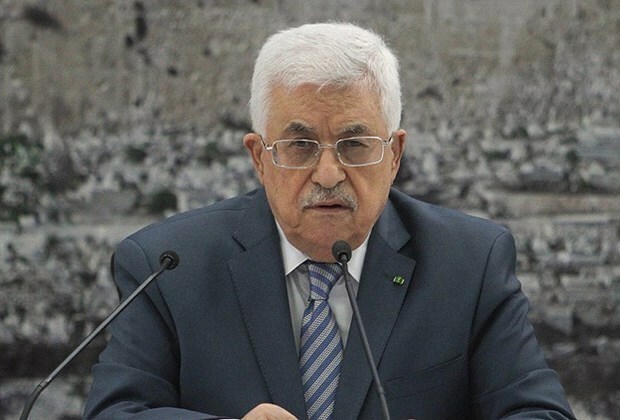 "I discussed this specific matter with President Elsisi, and noted that Hamas and Israel have already agreed on the resolution, to which he responded, 'no Egyptian would ever allow Israel or Hamas to have a single centimeter from our land,' and Palestinians will never accept to build their state on another country's land," Abbas said. He denied reports that his government was engaging in secret talks with Israel. Abbas said that "there are no such thing as secret negotiations, there is however permanent coordination on the ground, as the situation in Ramallah is different than Gaza." He added: "Palestinians and Israelis live side by side which requires complete coordination between our security personnel and theirs, we also use the Israeli ports since we don’t have any." Member of Hamas’s political bureau Dr. Mousa Abu Marzouq underwent a successful diagnostic cardiac catheterization on Saturday. Palestinian official sources told Quds Press that the 65-year-old Dr. Abu Marzouq has recently been suffering from fatigue. He was taken on Saturday to a public hospital in Gaza City where he underwent the procedure. The sources said the health condition of the Hamas leader is stable but he needs to rest especially after the great physical efforts he exerted in recent days in Gaza. Hamas political leader Dr. Abu Marzouq held a series of meetings all over Gaza Strip with Palestinian factions and national figures in the few past days. Palestinian factions called for making major changes to the draft resolution which the Palestinian Authority intends to resubmit to the UN Security Council after the failure of the first one last December. 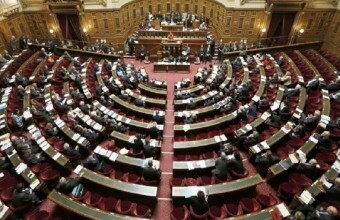 The factions called for a new draft resolution demanding the execution of previous UN resolutions on Palestine. Secretary-general of the Palestinian People's Party Bassam al-Salehi told Anadolu news agency that he rejects the submission of the same formula to the Security Council. Salehi called on the PA to draft a concise resolution calling for implementing previous resolutions issued by the UN Security Council and the General Assembly on the establishment of a Palestinian state on the 1967 borderline, with east Jerusalem as its capital as well as on the right of Palestinian refugees to return to their homes. "We should not engage in other issues. We have resolutions from the Security Council and the General Assembly, which are important and give us our rights, so we have to submit a draft resolution demanding their execution, such as resolutions 181, 194, 242 and others," he stated. He also affirmed that most of the factions agreed on the need to amend the current draft resolution. For her part, senior official of the Popular Front for the Liberation of Palestine Khaleda Jarrar seconded what Salehi had stated by saying that the new draft resolution must call for fulfilling previous UN resolutions on Palestine. Secretary-general of the Palestinian National Initiative Mustafa Barghouthi also told Anadolu that the draft resolution that was tabled for vote at the Security Council last month did not satisfy the minimum aspirations of the Palestinian people, and called for changing it in line with the Palestinian rights and international resolutions. According to Palestinian Ambassador to Italy, Mai Al-Kaila, the Italian Parliament recently held a preliminary meeting to discuss recognizing a Palestinian State on the borders of 1967. 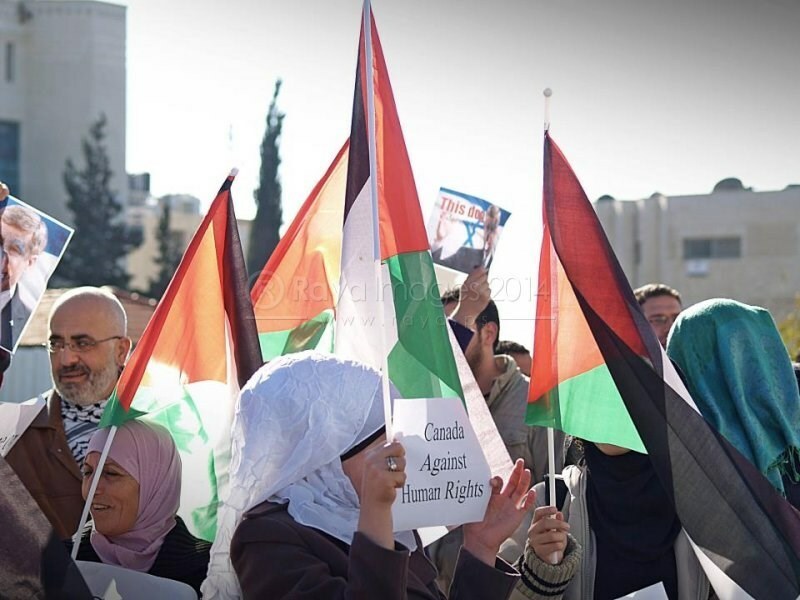 Kaila said, in a statement to the PNN, that she attended the parliamentary hearing session held to discuss the Palestinian recognition proposal submitted by three minority parties on Friday afternoon. Kaila said that it was obvious that the Italian right had adopted Netanyahu's speech in Paris, as they focused on terrorism and its relations to Islamic political parties like Hamas. They also condemned the President Abbas for making an alliance with Hamas in forming the unity government. Alternately, three leftist parties proposed resolution drafts to recognize a Palestinian state, leading to a heated discussion of differing opinions between members of the Parliament, and ultimately leaving the session to an open end. Ambassador Kaila said that the Parliament will hold another session on January 21 to hear the presentations of Political Committee of the Palestinian Legislative Council Chair Abdallah Abdallah, who was invited by the Parliament, Palestinian Ambassador to Italy Mai Al-Kaila, along with Alon Liel, who wrote a document at the end of 2014 on behalf of Israeli intellectuals urging the British government to recognize Palestine, and Aster Mardoc, a professor at Tel Aviv University who also signed Liel's document. Palestine currently holds status as an "observer state" within the United Nations, while a number of European countries and governing bodies have recently moved for official recognition, including Sweden and France. 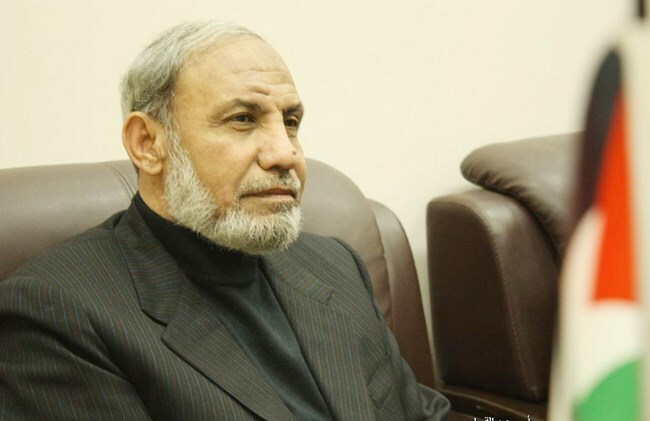 Senior Hamas leader, Dr Mahmoud al-Zahhar, held the Palestinian Authority (PA) Chairman, Mahmoud Abbas, primarily responsible for the delay in the launch of the reconstruction process and for the tough blockade policy imposed on Gazans. 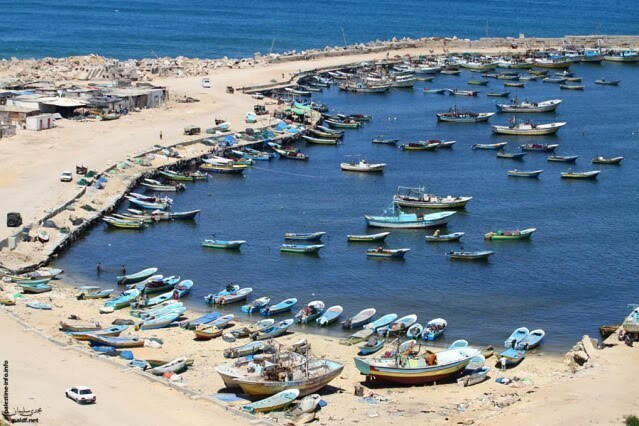 “Hamas will give the consensus government a chance to carry out its missions, though elections are supposed to be called within six months since the government first took office,” Zahhar said. He hailed Gaza’s employees who stood as a bulletproof vest for Gazans and have made sure that the besieged enclave would be provided with all necessary services all along four Israeli offensives. “Hamas can never let such faithful employees down,” he vowed, adding that the group agreed on donating 10% of the salaries of Gaza’s unpaid workers as part of a social solidarity program devised by Hamas in response to Abbas’s dragging of his feet vis-à-vis the salary crisis. According to Zahhar, Abbas is taking advantage of his power to crack down on the Palestinians of Gaza and force them to adopt an anti-Hamas stance, by exacerbating the electricity and water crises. He spoke out against Abbas’s reluctance to implement the bonds of the reconciliation accord as opposed to his tacit back-up of the security coordination with the Israeli occupation both in the West Bank and Gaza. The Hamas leader reiterated his belief that Abbas would never call for holding elections for fear of losing the race. Scores of Palestinian protesters Sunday hurled eggs at the Canadian Foreign Minister John Baird during a visit to the West Bank city of Ramallah in protest at Canada’s diplomatic pro-Israel stances. Dozens of Palestinians heckled and threw eggs at Canada’s Foreign Minister following a meeting with his Palestinian counterpart in the headquarters of the Ramallah-based Foreign Ministry. Baird arrived in Ramallah from Occupied Jerusalem on Sunday morning and was expected to leave after his meeting with Riad al-Maliki. On Saturday, Palestinian student movements called for protesting against the top Canadian diplomat's visit. "We're here today to say that Baird's visit in not welcome and we call on him to leave Ramallah immediately," Essam Abu Bakr, one of the rally-goers said. "We condemn Canada's support for Israel's terrorism and its support for the Israeli occupation in the United Nations," he added, urging the Canadian government to side rather with the Palestinian people who have been subjected to Israeli state terrorism. The Israeli premier, Benjamin Netanyahu, has called on the United States to interfere to prevent the International Criminal Court (ICC) from launching a probe into the situation in the Palestinian territories. Netanyahu had called US Secretary of State John Kerry and asked him to interfere to prevent the court from launching the inquiry, Israeli TV Channel 2 said Saturday. Earlier on Friday ICC prosecutor, Fatou Bensouda, announced that the court had opened a preliminary investigation into the "situation in Palestine" after the Palestinian government accused the Israeli occupation of committing war crimes against the Palestinian people. Bensouda said that her examination would be conducted "in full independence and impartiality," a decision that has been slammed as "shameful" by the Israeli government. "Israel rejects the absurd decision of the ICC prosecutor," Netanyahu was quoted by his office as saying on Saturday. He said he would not be surprised if the so-called Islamic State of Iraq and the Levant militant group, al-Qaeda, or the Lebanese movement Hezbollah followed suit. "To what depth of absurdity has the tribunal sunk?" PM asks, claiming that a decision to probe possible war crimes in Palestinian territories runs contrary to reasons for which the tribunal was created. The US Department of State on Friday expressed opposition to the decision of the ICC prosecutor. Israeli war minister, Moshe Ya'alon, meanwhile, criticized the ICC decision, describing it on his Facebook page as a "hypocritical" one that condones terrorism instead of fighting it. The Islamic Resistance Movement, Hamas, hailed such a move by the ICC dubbing it a step in the right direction. 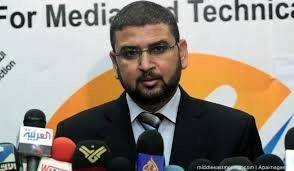 Hamas spokesperson Sami Abu Zuhri called on the court to carry out the necessary procedures and take legal action against the Israeli occupation war criminals.